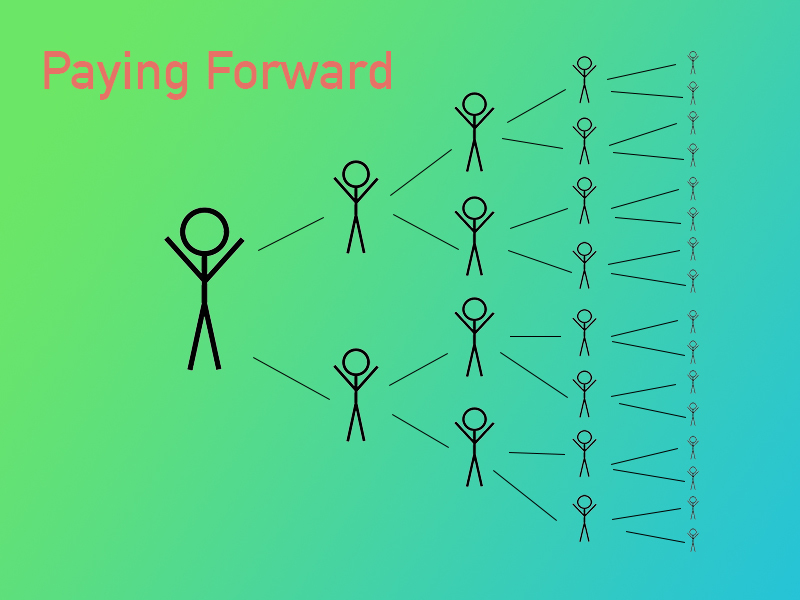 Share the post "Paying Forward"
I will never forget a customer from long ago who would call me once and sometimes twice a day. I sold her and her husband a home and subsequently listed their home for sale. I remember clearly reminding them that purchasing prior to having their home sold would likely create stress. They didn’t listen and the stress kicked in with the endless phone calls. Every suggestion I made in getting the home more marketable was dismissed. Subsequently, the home was on the market longer than it should have been due to their stubbornness. I did finally get it sold for a fair price. During the loan period, the seller continued with the anxious phone calls. As far as I was concerned, it couldn’t have closed fast enough. Not long after the sale of their home closed, I started getting phone calls again. This time it was about problems they were having with their new home. I made extra trips out to the house to see what they were complaining about. The problems were minor and easily fixable. When these little problems of normal home ownership continued, I finally reminded them that they had their inspections prior to purchase and no home is every perfect. They didn’t like my statement and not long after that, the phone calls stopped. The amount of time and energy I contributed in those two transactions were likely equal to the combination of 15 normal sales. What came as absolutely no surprise, was when they listed that home about ten or fifteen years later with an agent from a different office. At that time I simply reminded myself that it’s better to be paying forward than paying back.